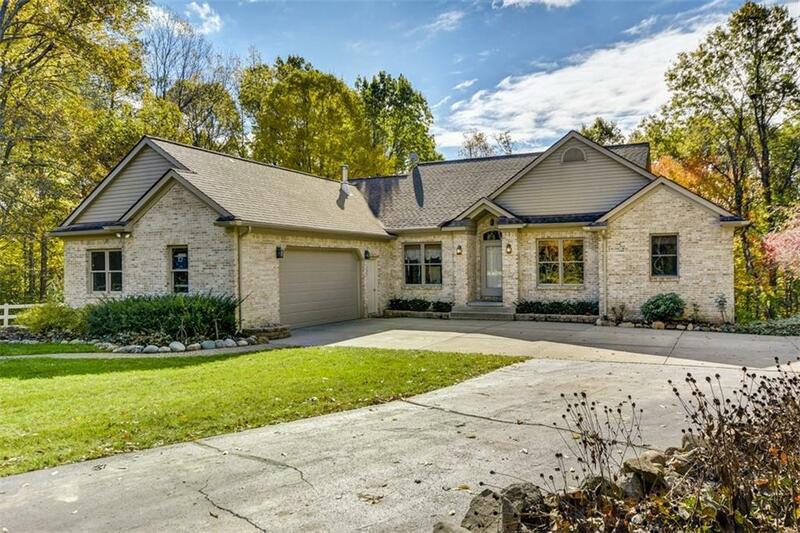 **Click Virtual Tour link for a video tour** Set in a wooded sanctuary with 3,751 finished sq ft, this home is a recreational residence that appeals to the equestrian masses. On 14 acres, with riding trails, 7 pastures, a drive thru Pole Barn, a Horse Barn with 3 Stalls and an 80x110 Outdoor Arena, you will never run out of horse-related activities. The entryway of the home greets you with formal dining and an office with detailed french doors. Continue into the kitchen to find a large butcher block island and a breakfast nook. The open concept living space includes vaulted ceilings, a gas fireplace and marble accents. Vaulted ceilings continue on into the Master Suite, providing luxurious living with an updated Master Bath, jetted tub and large walk-in shower and closet. The finished walkout basement includes rec space with kitchenette, workout room, a full bath and bedroom. The amenities are endless and the beauty is abundant, you donât want to let this property pass you by!